Chinese ephedra (Ephedra equisetina), also known as desert herb or Ma Huang, is a plant with a PR problem. Ephedra is a powerful herb which grows mainly in Mongolia and the bordering regions of China. It has been used in Chinese medicine for at least 5,000 years. It is the herb from which scientists have extracted ephedrine, one of the most effective treatments known for the symptoms of asthma, allergies, and sinus problems. The Chinese employed ephedra for many uses, including the treatment of asthma and as a natural decongestant and antihistamine. Herbalists in the West have also discovered these benefits and ephedra has become a popular ingredient in herbal combinations for the respiratory system. Since it also has a thermogenic effect (increases basal metabolic rate, slightly raising body temperature and causing calories to be burned at a faster rate), it has also proven to be an effective aid for weight loss. An added bonus for those who use the herb for weight management is its appetite-suppressing effect. The active ingredients in ephedra are naturally occurring ephedra alkaloids, the most important one being ephedrine. Because it has a stimulating effect, many believe that it contains caffeine. The truth is, the herb ephedra by itself contains no caffeine. It is ephedra's stimulating and thermogenic effect that is responsible for the herb's PR (Public Relations) problem. One of the side-effects of thermogenesis is a slight increase in pulse rate and an elevation of blood pressure. Ephedra is therefore not recommended for individuals with high blood pressure, heart problems or hyperthyroidism. It may also cause problems for people with insomnia and for those who suffer from panic attacks. Another problem for ephedra is that a few young people have taken large amounts of the herb, often mixed with other stimulants, in order to get a "high." Invariably in such cases the ephedra is taken in combination with other drugs, such as caffeine and pseudoephedrine, and in some cases it has been combined with illegal substances such as methamphetamines. This has occasionally resulted in cardiovascular accidents and even a few deaths. In such cases, the question to ask is whether these accidents resulted from the herb, or from the drugs. It is certain that they resulted from misuse or abuse. Many herbal manufacturers spike their ephedra-containing weight loss products with caffeine. This is often done by adding herbs that contain caffeine, such as guarana seeds or cola nuts. Caffeine by itself can elevate blood pressure and cause heart palpitations.When combined with ephedra this potential is increased. Medical research has shown that there are many health risks associated with being even moderately overweight, including heart disease, arthritis, and diabetes. Obesity (defined as 30 pounds or more over your ideal body weight) is considered a major health problem in the U.S. According to the Center for Disease Control, obesity is an epidemic resulting in 300,000 deaths each year. Considering these medical facts, a risk to benefit analysis of ephedra will clearly indicate that its potential benefits for weight loss far outweigh its potential to do harm, especially when taken in a prudent manner. Due to a few highly-publicized incidents, a public perception of danger has ensued and political groups in two states have managed to get ephedra banned. One such state, Ohio, has since taken a more objective look at the data and has decided to lift its ban. One other state, Nebraska, still has a ban on the herb. Millions of people, including this writer, have benefited from ephedra for allergy and sinus problems, for asthma, and as a weight management aid. The record shows that when used properly the herb is as safe or safer than many over-the-counter medications including aspirin. Ephedra has a 5,000 year record of safety, something that no drug can lay claim to. Hopefully, Nebraska will follow Ohio's lead and lift their ban on ephedra and it will be available, without a prescription, for those who desire a safe and natural alternative for the health conditions for which it is indicated. Important things to consider when selecting and using ephedra products: Don't use ephedra products (if you have high blood pressure). Choose an ephedra product that uses the whole herb, not just the extracted ingredient ephedrine. The whole herb contains other ingredients that work synergisticly with the naturally-occurring ephedrine, increasing its effectiveness and decreasing its potential for undesirable side-effects.When taking prescription drugs or being treated for a health condition, check with your health professional before using ephedra. Reduce dosage if undesirable side-effects occur, and discontinue use entirely if they persist. This includes, but is not limited to, headache, nervousness, sleeplessness, anxiety, nausea, and prostate or urinary problems. Remember that ephedra works best when taken on an empty stomach. The best time to take it is one hour before meals. Ephedra can also cause nausea in some people when taken with food. To prevent interference with sleep, don't take ephedra too late in the day. This is particularly true when caffeine is also used. The maximum safe dosage of ephedra is 100 mg of ephedra alkaloids, or ephedrine, per day. This may vary depending on body size. Ephedra should not be used during pregnancy or lactation or by individuals with high blood pressure or those suffering from blood sugar, thyroid, or prostate problems or with glaucoma. Do not take if currently taking or have recently taken MAO inhibitor drugs. If taking prescription drugs check with your doctor before taking ephedra. Ephedra should never be taken on a continual basisIt is best to take it for no longer than a month at a time. After a break of a week or two its use can be resumed. Never take ephedra for longer than three months without taking a break. Continuous use can cause adrenal exhaustion and the herb can lose its effectiveness. 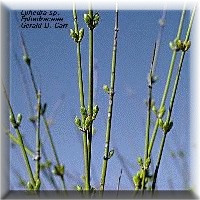 CLINICALS:Medical Abstract Title: A Component of the Medicinal Herb Ephedra Blocks Activation in the Classical and Alternative Pathways of Complement Author: Ling M, Piddlesden SJ, Morgan BP Source: Clin Exp Immunol. 1995; 102(3):582-588. Abstract:Extracts of the herb Ephedra sinica have long been used in traditional Chinese medicine for the treatment of, among other conditions, acute nephritis. In preliminary studies it was shown that extracts of ephedra caused inhibition of complement in vitro. We thus set out to isolate the active component(s) of this herb, to examine the complement-inhibiting capacity in sera from different species, and to characterize the mechanism(s) by which it inhibits complement. Aqueous extraction of the herb followed by fractionation using thin layer chromatography (TLC) demonstrated that complement-inhibiting activity resided within a single band, hereafter termed the complement-inhibiting component (CIC), which represents an as yet uncharacterized polyanionic carbohydrate molecule. TLC-purified CIC inhibited the classical complement pathway in all species tested (human, pig, guinea pig, rat and rabbit). Using erythrocyte intermediates and sera specifically depleted of individual components it was apparent that CIC inhibited C2. This finding was confirmed using purified human C2, CIC causing a dose-dependent loss of C2 haemolytic activity. At much higher doses, CIC also showed some inhibiting effect in the terminal pathway, and this was shown to be due to inhibition of C9. In the alternative pathway CIC also showed inhibitory activity, although its site of action in this pathway remains unresolved. In Chinese medicine the herb is taken orally, though no studies of complement levels in patients taking the herb have been reported. Preliminary data indicate that oral administration in rats causes a partial inhibition of serum complement activity. Given the current enthusiasm for complement inhibition as a therapy for inflammatory diseases, this non-toxic, naturally occurring agent might be of therapeutic value. Medical Abstract Title: Pharmacokinetics and Cardiovascular Effects of Ma-Huang (Ephedra sinica) in Normotensive Adults Author: White LM, Gardner SF, Gurley BJ, Marx MA, Wang PL, Estes M Source: J Clin Pharmacol. 1997; 37:116-122. Abstract:The purpose of this study was to evaluate heart rate and blood pressure responses to a commercially available source of ma-huang, a natural source of the sympathomimetic substance, ephedrine, and to evaluate the pharmacokinetic properties of the product in normotensive, healthy adults. On day 1, twelve study participants were monitored with an ambulatory blood pressure device between hours 7 and 20. On day 2, they ingested four capsules of powdered ma-huang at hours 8 and 17 while again wearing the monitor between hours 7 and 20. Serial plasma samples were obtained and concentrations of ephedrine were analyzed by high-performance liquid chromatography. Pharmacokinetic parameters of ephedrine were determined from plasma concentration-time profiles. The ephedrine alkaloid content of each capsule was also determined by high-performance liquid chromatography. Six participants experienced a statistically significant increase in heart rate, but the effects on blood pressure were variable. The half-life, volume of distribution, clearance, and maximum concentration in plasma of ephedrine in the ma-huang product were similar to values previously reported for a 20-mg, immediate-release ephedrine tablet. Values for the absorption rate were considerably lower and time to reach maximum concentration was longer for the capsules, compared with the standard tablet. Variability in alkaloid content of ephedrine was low and yielded a mean dose of ephedrine at 19.4 mg, pseudoephedrine at 4.9 mg, and methylephedrine at 1.2 mg for a four-capsule dose. In summary, ma-huang had variable effects on blood pressure and increased heart rate in healthy, normotensive adults. Pharmacokinetic parameters for ephedrine were in agreement with those previously reported; however, the absorption rate was much slower after ingestion of ma-huang. Medical Abstract Title: Selected Herbals and Human Exercise Performance Author: Bucci LR Source: Am J Clin Nutr. 2000;72:624S-636S. Abstract:Herbs have been used throughout history to enhance physical performance, but scientific scrutiny with controlled clinical trials has only recently been used to study such effects. The following herbs are currently used to enhance physical performance regardless of scientific evidence of effect: Chinese, Korean, and American ginsengs; Siberian ginseng. mahuang or Chinese ephedra; ashwagandha; rhodiola; yohimbe; Cordyceps fungus, shilajit or mummio; smilax; wild oats; Muira puama; suma (ecdysterone); Tribulus terrestris; saw palmetto berries; beta-sitosterol and other related sterols; and wild yams (diosgenin). Controlled studies of Asian ginsengs found improvements in exercise performance when most of the following conditions were true: use of standardized root extracts, study duration (> 8 wk, daily dose > 1 g dried root or equivalent), large number of subjects, and older subjects. Improvements in muscular strength, maximal oxygen uptake, work capacity, fuel homeostasis, serum lactate, heart rate, visual and auditory reaction times, alertness, and psychomotor skills have also been repeatedly documented. Siberian ginseng has shown mixed results. Mahuang, ephedrine, and related alkaloids have not benefited physical performance except when combined with caffeine. Other herbs remain virtually untested. Future research on ergogenic effects of herbs should consider identity and amount of substance or presumed active ingredients administered, dose response, duration of test period, proper experimental controls, measurement of psychological and physiologic parameters (including antioxidant actions), and measurements of performance pertinent to intended uses.